Hello people of the internet!!! On today’s ‘Monday Memos’ we’re going to talk about one of the past times that we all enjoy…binge watching! Whether you like Netflix, Hulu, DVDs, or anything in between you know that we love spending hours getting lost in our favorite shows. So if you want to know what shows you should watch this winter please keep reading. Ready? Ok, let’s go!!! This classic 90s teen drama is definitely one that all music fans should check out (if you’re not already a fan of it) because this is the show that is given the credit of creating the teen drama genre that brought us other favorites such as Dawson’s Creek, Gossip Girl and so many others. If you think Rosewood has drama just wait until you see what happens in Beverly Hills. If you’re into sci-fi then I’m sure you’re already in love with this groundbreaking franchise, with a new highly anticipated movie coming out next year this is the perfect time to get familiar with Star Trek. This show has great, complex characters, incredible action, and because there have been A LOT of movies, spin-offs, and even an aminated show then you know that this is a franchise that knows what its’ viewers want to see. 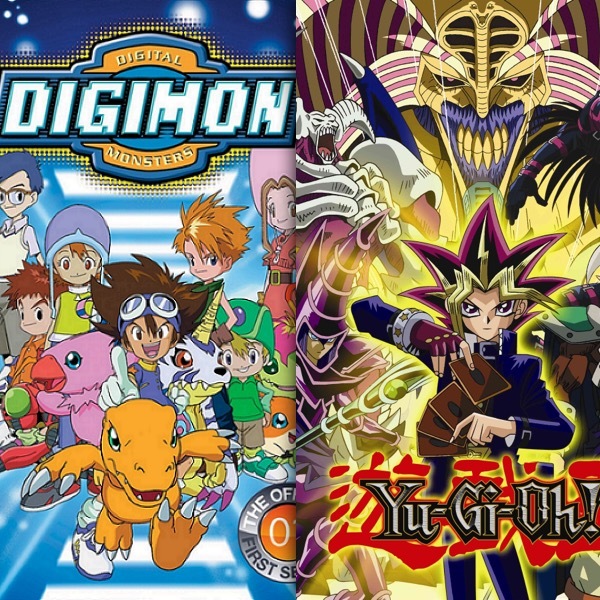 Whether you watched these shows as a kid, love anime, or just love amazing shows then you have to rewatch these shows this winter break. If you haven’t revisited the Digital World lately then you need to catch up before this franchise releases it’s newest movie next year (btw if you haven’t seen the 1st movie in the Digimon Adventure Tri series then you need to RIGHT NOW because it’s amazing). 2016 will also bring us a new movie that will follows the King of Games Yugi as he saves the world from evil…again (poor kid can’t get break). Even though we don’t know a lot about this new movie yet, we do know that it takes place 6 months after the original Yu-Gi-Oh manga ends so now is a good time to dust off your deck and getting ready to duel. Ok if you’ve ever seen this show then you know that you have to binge watch this show at least every other season to keep up with everything that has happened. Last season we found out who “A” was and honestly were left with even more unanswered questions. When we visit Rosewood again in 2016 we will time jump 5 years in the future, so needless to say you may need a few days to catch up again on all the romance, drama, and suspense (I don’t know if my feels can handle this again y’all). Needless to say the internet went into a frenzy when we found out that we were going back to Stars Hollow. Gilmore Girls had drama, romance, amazing characters, witty writing, and basically made everyone want to move to a small town. 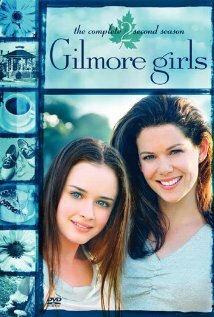 If you’ve never seen Gilmore Girls then you are missing a VERY important part of TV history and you need to hop over to Netflix right now and check it out (c’mon you’re on there all day anyway so go on and check it out). 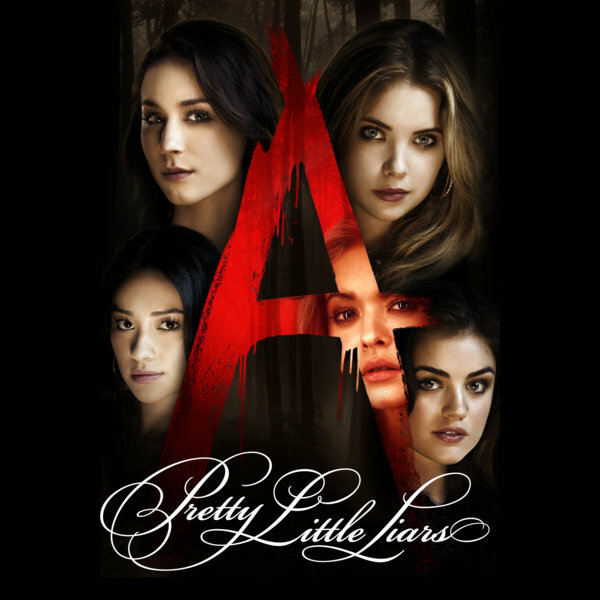 All photos and information used in this blog belong to Netflix, Hulu, Beverly Hills 90210, Dawson’s Creek, Gossip Girl, Star Trek, Crunchyroll, Yugioh.com, Digimon, Yu-Gi-Oh, Digimon Adventure Tri, Pretty Little Liars, Gilmore Girls, Darren Star, Aaron Spelling, E. Duke Vincent, Charles Rosin, Steve Wasserman, Jessica Klein, Paul Waigner, Larry Mollin, Jason Priestly, Laurie McCarthy, Johm Eisendrath, Doug Steinberg, Michael Braverman, 9210 Productions, Propaganda Films, Spelling Television, Torand Productions, Worldvision Enterprises, Paramount Domestic Television, CBS Paramount Domestic Television, CBBS Television Distribution, FOX, Kevin Williamson, Tom Kapinos, Greg Prange, Paul Stupin, The WTV Asahi, Columbia TriStar Television, Procter & Gamble Productions, Outerbanks Entertainment, Sony Pictures Television, Josh Schwartz, Stephanie Savage, Bob Levy, Leslie Morgenstein, John Stephens, Joshua Safran, Sara Goodman, Warner Bros. Television, CBS Paramount Television, CBS Television Studios, Fake Empire Productions, Alloy Entertainment, College Hill Pictures Inc., Warner Bros. Television Distribution, The CW, Gene Roddenberry, Desliu Productions, Paramount Television, CBS Television Distribution, NBC, all of the companies, individuals, corporations, managers, writers, producers, and/or businesses that should receive credit for associated in any way, shape, or form with the Star Trek franchise and its’ affiliates, Crunchyroll, Yugioh.com, Hiroyuki Kakudo, Keisuke Okuda, Satoru Nishizono, Toei Animation, Saban Entertainment, Fuji TV, Spacetoon, FOX Kids, FOX Family, Toon Disney, Nicktoons 4Kids TV, Keitaro Motonaga, Takagi Katsuhiro, Hiroyuki Kakudo, Toshiki Inoue, 4Kids Entertainment, 4K Media Inc., Junki Takegami, Atsushi Maekawa, Shin Yoshida, Akemi Omode, Studio Gallop, NAS, Animax, Shunsuke Kazama, Kenijiro Tsuda, Hiroki Takahashi, Maki Saito, Hidehiro Kikuchi, Rica Matsumoto, Ryo Naito, Kento Hayashi, Studio Gallop, Nihon Ad Systems, Sara Shepard, I. Marlene King, Oliver Goldstick, Joseph Dougherty, Leslie Morgenstein, Bob Levy, Lisa Cochran-Neilan, Maya Goldsmith, Carol Dunn Trussell, Bryan M. Holdman, Hynndie Wali, Warner Horizon Television, Alloy Entertainmnt, Long Lake Productions, Russian Hill Productions, ABC Family, Amy Sherman-Palladino, Daniel Palladino, David S. Rosenthal, Gavin Polone, Lauren Graham, Patricia Fass Palmer, Helen Pai, Mel Efros, Jenji Kohan, Dorothy Parker Drank Here Productions, Hofflund/Polone, Warner Bros. Television, The WB, and all companies, individuals, corporations, managers, writers, producers, and/or businesses that should receive credit for anything mentioned in this blog post, and all original owners. I do not own anything in this blog. If any people, corporations, businesses, companies, etc, were not previously given credit for their work, they are given credit now and their previous absence was unintentional. All opinions expressed in this blog are my own. I wrote this blog for entertainment purposes and no copyright infringement is intended. celindareyesblog December 29, 2015 No Comments on Monday Memos: Top 5 shows to binge watch this winter break. Category: Monday Memos. Tagged: 2015, 2016, 4K Media Inc., 4Kids Entertainment, 9210 Productions, Aaron Spelling, abc family, Akemi Omode, all of the companies, Alloy Entertainment, Alloy Entertainmnt, Amy Sherman-Palladino, and/or businesses that should receive credit for associated in any way, Animax, anime, Atsushi Maekawa, beverly hills 90210, Bob Levy, Bryan M. Holdman, Carol Dunn Trussell, CBBS Television Distribution, CBS Paramount Domestic Television, CBS Paramount Television, CBS Television Distribution, CBS Television Studios, Charles Rosin, College Hill Pictures Inc., Columbia TriStar Television, comedy, corporations, Crunchyroll, Daniel Palladino, Darren Star, David S. Rosenthal, Dawson's Creek, Desliu Productions, Digimon, Digimon Adventure Tri, Dorothy Parker Drank Here Productions, Doug Steinberg, drama, E. Duke Vincent, Fake Empire Productions, family, fox, Fox Family, Fox Kids, Fuji TV, fun, Gavin Polone, Gene Roddenberry, Gilmore Girls, gossip girl, Greg Prange, Helen Pai, Hidehiro Kikuchi, Hiroki Takahashi, Hiroyuki Kakudo, Hofflund/Polone, hulu, Hynndie Wali, I. Marlene King, individuals, Jason Priestly, Jenji Kohan, Jessica Klein, Johm Eisendrath, John Stephens, Joseph Dougherty, Josh Schwartz, Joshua Safran, Junki Takegami, Keisuke Okuda, Keitaro Motonaga, Kenijiro Tsuda, Kento Hayashi, Kevin Williamson, Larry Mollin, Lauren Graham, Laurie McCarthy, Leslie Morgenstein, Lisa Cochran-Neilan, Long Lake Productions, Maki Saito, managers, Maya Goldsmith, Mel Efros, Michael Braverman, NAS, nbc, netflix, new, Nicktoons 4Kids TV, Nihon Ad Systems, Oliver Goldstick, or form with the Star Trek franchise and its' affiliates, Outerbanks Entertainment, Paramount Domestic Television, Paramount Television, Patricia Fass Palmer, Paul Stupin, Paul Waigner, pretty little liars, Procter & Gamble Productions, producers, Propaganda Films, reboot, Rica Matsumoto, romance, Russian Hill Productions, Ryo Naito, Saban Entertainment, Sara Goodman, Sara Shepard, Satoru Nishizono, sci fi, shape, Shin Yoshida, Shunsuke Kazama, Sony Pictures Television, Spacetoon, Spelling Television, spinoff, Star Trek, Stephanie Savage, Steve Wasserman, Studio Gallop, Takagi Katsuhiro, The CW, The WB, The WTV Asahi, Toei Animation, Tom Kapinos, Toon DIsney, Torand Productions, Toshiki Inoue, tv, Warner Bros. Television, Warner Bros. Television Distribution, Warner Horizon Television, Worldvision Enterprises, writers, Yu-Gi-Oh!, Yugioh.com. Hello people of the internet!!! On today’s ‘Monday Memos’ I have an awesome new interview with actor Ben Diskin for y’all to check out. 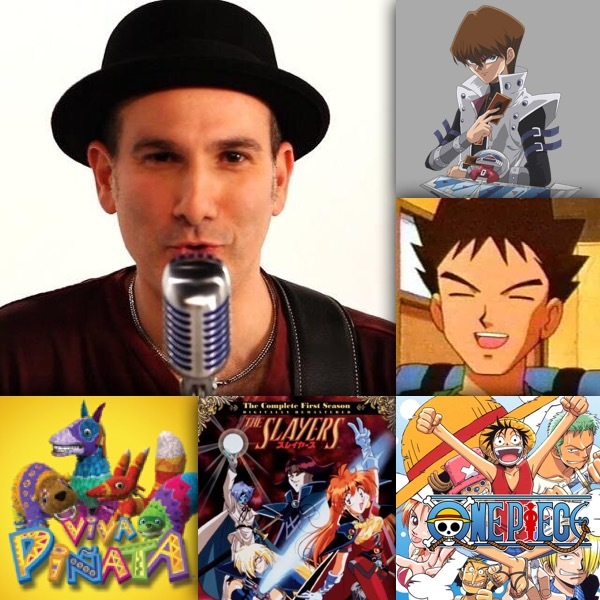 If you’re a fan of shows such as: Naruto, Bleach, Codename: Kids Next Door, Hey Arnold, Zoey 101, and Digimon Fusion then you probably already know who Ben is (he’s done A LOT of other films/anime/other projects., it just would take too long to list them all). 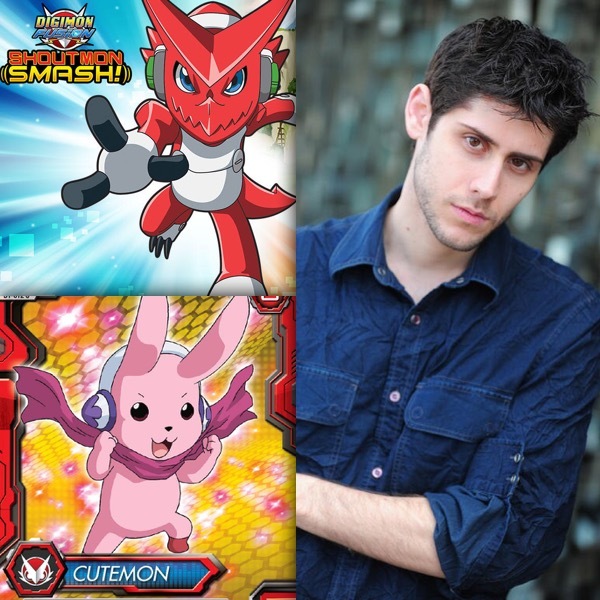 I had the amazing opportunity to ask Ben a few questions about his background, the acting industry, and his roles as Shoutmon and Cutemon on Digimon Fusion. So if y’all are ready, let’s jump into the interview! Celinda: Hi Ben! So first of all, how did you first get into the entertainment industry? Ben: I got into the entertainment industry while I was still a fetus. People think I’m joking when I say that, but it’s honestly true. Both of my parents are actors and while I was developing in my Mom’s womb, their agent told them he’d like to represent me when I was born. They signed the paperwork and I had representation before I’d taken my first breath. Celinda: Wow that is such a cool story. So what do you wish you would have known about being an actor before getting into the business? Ben: I really wish I’d known to keep my mouth shut. When you’re a kid and you don’t know any better, you want to tell all your friends about jobs you’re working on because you’re so excited about what you’ve just done. The trouble with that is it makes you look like a braggart and people make some pretty unfair judgements about your personality. As a kid, I told anyone who’d listen that I was in Kindergarten Cop with Arnold Schwarzenegger. This got out to the whole school and suddenly I’d made a bunch of new “friends.” These kids thought I was a movie star, rich, and really cool. Once it dawned on them that I was none of those things, they called me a liar, a brat, and a fake. I went from being popular to being teased mercilessly and it made me want to quit acting. To this day, I tend to keep my mouth shut about projects I’m working on because a part of me fears the same thing will happen. Celinda: So how did you transition into voice acting? Ben: I was with the CED (now CESD) Talent Agency since I was a baby and they’ve been one of the top dogs for VO work for several decades. One day I was approached by one of the voice over agents to do a radio spot audition. I didn’t know how to read very well at the time, so he had to dictate my dialogue to me and have me repeat it. My first major moment in voice over was doing an animated series called Problem Child (based on the movies with John Ritter.) When I realized that no one, not even my closest friends, recognized my voice coming from the cartoon character, I knew what I wanted to do for the rest of my life. Being able to act without dealing with any of the “fame” was exactly what I was looking for. Celinda: Very cool. So in your opinion, what’s the biggest difference between on-camera acting & voice acting? Ben: Focus. When you’re acting on camera, there are several tools at your disposal. You have your expressions, your gestures, your body language, your blocking, and your voice to properly convey the emotions of your character. In voice over, you’re forced to focus on just one aspect of acting: the voice. With an on-camera character, I can subtly raise an eyebrow to convey suspicion. In voice over, you have to vocally convey that same subtle eyebrow raise. When everything is filtered through the voice, it can be like a blind man trying to understand the world using only touch and smell. Celinda: So moving on to Digimon (which is currently airing its’ second season on Nicktoons), were you a fan before working on the franchise? Ben: I was ABSOLUTELY a big fan of Digimon! I loved those shows! Celinda: Since you were already a fan of Digimon, what was it like to work on a show that you had previously enjoyed as a viewer? Ben: It was a major honor to get to work on this show. I’d been hoping Xros Wars would get a dub ever since it came out in Japan, but after a couple of years went by, I’d lost hope of that ever happening. When I got the audition, I freaked out. XD The show is a lot of fun to work on for me, since my major anime influence is Dragonball Z. I play a character who yells like crazy and it reminds me of why I wanted to do this in the first place. Ben: Thank you! We typically record all of one character’s lines and then go back to the beginning of the episode for a second pass to record the other. Celinda: So Shoutmon & Cutemon’s voices sound so distinct, what process do you go through to prepare your voice so you can give each character a unique personality? Ben: It depends on when we record the episode. The Cutemon voice is extremely finicky. I can’t do it too early in the morning or too late in the day. If it’s an early morning session, Shoutmon has to go first. Because he’s such a loud, scratchy-voiced character, his voice warms up my vocal cords so I can do Cutemon. If the session is in the afternoon, my voice is already warmed up from being awake all day and I’ll have to do Cutemon first before it gets too late. Doing Shoutmon at this point will actually stress my vocal cords too much and Cutemon will sound really scratchy and weird. As for giving them unique personalities, I feel like they’re written differently enough that it comes out naturally. Celinda: Wow, that’s so interesting! So I know that you’ve voiced a lot of great characters throughout your career, is there a specific character that you haven’t already voiced that you would like to someday? Ben: Ummm….……. You know, I never know how to answer this question. I look at each role I get as a small victory in and of itself. I don’t really lust after particular roles; I just see what life brings my way. Celinda: Ok, so what advice do you have for anyone who wants to get into voice acting? Ben: The voice acting industry is full of opportunities but it’s also very tricky to get started in. My best advice would be to make sure you understand what you’re getting involved in. If you want this to be your career, you’ll have to move to where the work is, take lessons, make connections, and struggle for years to get people to give you a chance even if you’re already very good. Making a career out of voice acting alone isn’t very common, so make sure you don’t overestimate your abilities. Just because your friends or family tell you you’re good at doing cartoon voices isn’t an indication that this is your future. Remember, if you’re going to be a voice actor, you have to be an actor. This isn’t “doing voices” or “doing impressions;” it’s acting. Can’t act? Don’t waste your time. It’s as simple as that. Celinda: Lastly, is there anything you would like to tell your fans who are reading this interview? Ben: Thanks a lot for watching Digimon Fusion!! Season 2 is airing right now on NickToons; go watch it!!! All credit goes to Ben Diskin, CESD talent agency, Nicktoons, Digimon, Digimon Xros Wars, Digimon Fusion, Twitter, Facebook, Tomoharu Matsuhisa, Hiroyuki Sakurada, TV Asahi, Toei Animation, Yuki Nakashima, Tetsuya Endo, Riku Sanjo, Kousuke Yamashita, Noam Kaniel, Saban Brands, ABC, NBN, QAB, Kidz TV, GO!, YTV, Disney XD, Kix, CITV, Nickelodeon, The CW (Vortexx), Namco Bandai, Colleen O’Shaughnessy, all companies, individuals, corporations, and/or businesses that should recieve credit for anything mentioned in this blog post, and all original owners. I do not own anything in this blog. If any people, corporations, businesses, companies, etc, were not previously given credit for their work, they are given credit now and their previous absence was unintentional. All opinions expressed in this blog are my own. I wrote this blog for entertainment purposes and no copyright infringement is intended. celindareyesblog March 23, 2015 No Comments on Monday Memos: Interview with voice actor Ben Diskin. Category: Interviews, Monday Memos. Tagged: abc, amazing, animated, anime, Ben Diskin, cartoon, CESD talent agency, children, CITV, Colleen O'Shaughnessy, cutemon, digidestined, Digimon, digimon adventure, Digimon Fusion, Digimon Xros Wars, digivice, Disney XD, facebook, fighter, fusion, fusion loader, GO!, Hiroyuki Sakurada, kids, Kidz TV, Kix, Kousuke Yamashita, Namco Bandai, NBN, new, nickelodeon, Nicktoons, Noam Kaniel, QAB, Riku Sanjo, Saban Brands, shoutmon, show, teens, Tetsuya Endo, The CW (Vortexx), Toei Animation, Tomoharu Matsuhisa, tri, tv, TV Asahi, twitter, YTV, Yuki Nakashima. Hello people of the internet!!! On today’s ‘Monday Memos’ we are going back in time. This is a special blog post for all my fellow 90s kids who either grew up in the 90s, or just love the TV shows that were on-air during this decade. Now I think we can all agree that there were a lot of AMAZING cartoons, sitcoms, and other TV shows that we just loved to tune into every week (now I know that there was a lot of great shows in other decades too but since I was a kid in this decade, I’m a bit biased. Y’all know that were all a little biased too the time we grew up in). 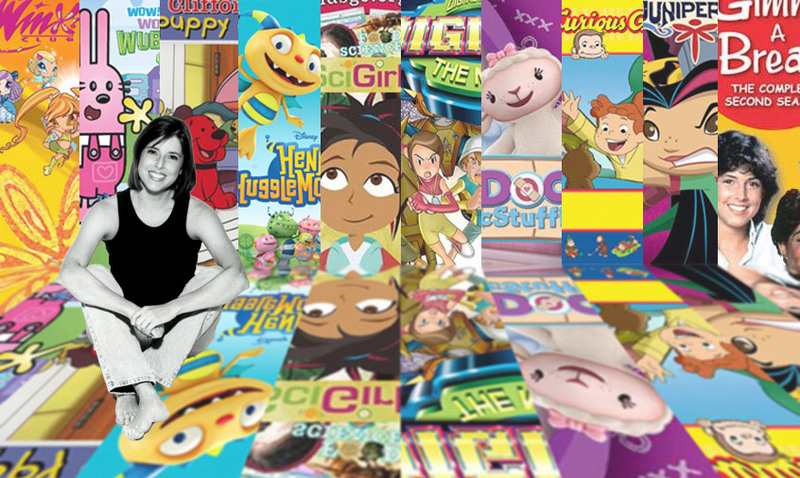 Now we all know that there are some shows that came out during this time that we can’t forget, but there are others that we love, but may have forgotten how much we love them. 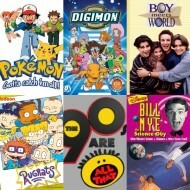 So here goes a small list of some of the Top 6 TV shows of the 90s (know I know that there are SOOOO many more shows that deserve to be on this list, so if y’all like this blog post then I will definitely post another with YOUR fav 90s TV shows. Just comment below with your suggestions). Ok, let’s jump into the list! Now these shows aren’t in any particular order, because it’s really difficult to say that one of these shows is better than another (honestly they’re all equally AWESOME!). I also tried to include a wide variety of shows so there’s something for everyone! Now this isn’t really a show that was easy to forget because it has always lived on in syndication, but I think that a lot of people really forget just how much they love this show. It was really awesome to be able to sit down with your family and watch a show that everyone enjoyed. Boy Meets World was a show where everyone could relate to a character, whether you were a Cory, Shawn, Topanga, Mr. Feeny, Eric, or Minkus. Through his show we learned about how to deal with everyday problems, and that the most important things in life are friends and family. We also all fell in love with the love story of Cory and Topanga (there still our example of the perfect OTP). When Girl Meets World was announced, everyone was really anxious to see the story continue, because these characters became our best friends over the 7 seasons they were on air. What was the best thing we got out of Boy Meets World though? The Feeny Call of course! Now this is a show that only gets better the more times you watch it. Honestly who would have thought that seeing the world through the eyes of a baby would be so much fun? We laughed, we cried, and we actually learned some lessons about friendship and family. One thing that I really love about this franchise, is when the characters entered their preteen/teen years, the show was brought back with a new show that had our fav characters learning new life lessons. Now whether or not you liked the sequel, Rugrats: All Grown Up (personally I loved it), you have to admit that it was cool that the creators of the show aged the characters with the fans, so we got to enter those all too important/slightly awkward years with our favorite cartoon friends. Now if you were a kid in the 90s, this was a serious debate. I mean for a lot of us this was our first experience being a part of a fandom, so you had to choose wisely. Personally I was a fan of both, but a lot of people said you had to take a side (I’m telling y’all this was serious business). Looking back it’s sort of funny that the world was divided into people who like Digimon & people who liked Pokémon, just like pop culture was divided into people who liked the Backstreet Boys & people who like NSync. This was the decade were shipping wars really became a big deal (and if you look on YouTube we still ship all the various characters from these shows). With both shows still going strong (and the recent announcement of a sequel to the first 2 seasons of Digimon…yay Digimon Adventure Tri! ), we get to continue wishing we were digidestined & Pokémon masters. All photos and information used in this blog belong to YouTube, William Sanford “Bill” Nye, Bill Nye The Science Guy, Boy Meets World, Lee Norris, Ben Savage, William Daniels, Rider Strong, Danielle Fishel, Will Friedle, James McKenna, Erren Gottileb, Elizabeth Brock, James McKenna, KCTS Seattle, Rabbit Ears Productions, Walt Disney Television, Buena Vista Television, PBS, Michael Jacobs, April Kelly, Michaels Jacobs Productions, Touchstone Television, ABC, All That, Kenan Thompson, Kel Mitchell, Nick Cannon, Amanda Bynes, Brian Robbins, Mike Tollin, Joe Davola, Dan Schneider, Kevin Kopelow, Heath Seifert, Toll in/Robbins Productions, Schnidier’s Bakery, Nickelodeon, Arlene Klasky, Gabor Csupo, Paul Germain, Vanessa Coffey, Anivision, Klasky Csupo, Nickelodeon Productions, Viacom International, Nickelodeon Animation Studios, Kunihiko Yuyama, Satosh Tajiri, Junichi Masuda, Ken Sugimori, OLM, In., Team Ota, Team Iguchi, Team Kato, , 4Kids Entertainment, The Pokémon Company, Kids’ WB, Cartoon Network, Boomerang, TV Tokyo, Akiyoshi Hongo, Rugrats, Digimon, Pokémon, Toei Animation, Bandai, Saban Entertainment, Fuji TV, Spacetoon, Fox Kids, Fox Family, Toon DIsney, Nicktoons, and all products, people, corporations, individuals, businesses, and/or any and all other copyrighted material, and all original owners. I do not own anything in this blog. If any people, corporations, businesses, companies, etc, were not previously given credit for their work, they are given credit now and their previous absence was unintentional. All opinions expressed in this blog are my own. I wrote this blog for entertainment purposes and no copyright infringement is intended. celindareyesblog February 23, 2015 1 Comment on Monday Memos: Top 6 TV Shows of the 90s. Category: Monday Memos. Tagged: 1990, 1991, 1992, 1993, 1994, 1995, 1996, 1997, 1998, 1999, 2000, 4Kids Entertainment, 90s, abc, Akiyoshi Hongo, All That, Amanda Bynes, Anivision, April Kelly, Arlene Klasky, Bandai, Ben Savage, Bill Nye The Science Guy, Boomerang, boy meets world, Brian Robbins, Buena Vista Television, Cartoon Network, childhood, dan schneider, Danielle Fishel, Digimon, Elizabeth Brock, Erren Gottileb, Fox Family, Fox Kids, Fuji TV, Gabor Csupo, Heath Seifert, In., James McKenna, Joe Davola, Junichi Masuda, KCTS Seattle, Kel Mitchell, Ken Sugimori, Kenan Thompson, Kevin Kopelow, kids, Kids' WB, Klasky Csupo, Kunihiko Yuyama, Lee Norris, Michael Jacobs, Michaels Jacobs Productions, Mike Tollin, Nick Cannon, nickelodeon, Nickelodeon Animation Studios, Nickelodeon Productions, Nicktoons, nostalgia, OLM, Paul Germain, PBS, Pokémon, Rabbit Ears Productions, Rider Strong, rugrats, Saban Entertainment, Satosh Tajiri, Schnidier's Bakery, Spacetoon, Team Iguchi, Team Kato, Team Ota, The Pokémon Company, Toei Animation, Toll in/Robbins Productions, Toon DIsney, Touchstone Television, tv, TV Tokyo, Vanessa Coffey, Viacom International, Walt Disney Television, Will Friedle, William Daniels, William Sanford "Bill" Nye, youtube.